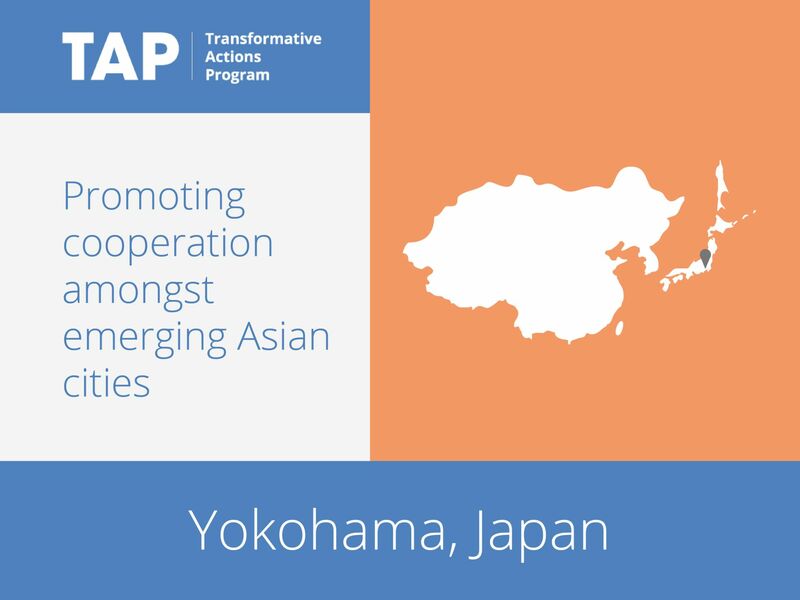 Through the project “Y-PORT Center City-to-City Program for Low Carbon and Smart Asia”, Yokohama aims to promote sustainable development assistance for a wide range of emerging cities in Asia. The first partnership will be with the City of Da Nang, strengthening the collaborative relationship that Yokohama has already established with Da Nang. Through the program, Yokohama will conduct activities not only through bilateral cooperation between cities but through a multi-stakeholder network between cities, private companies and citizens. The initiative, the first of its kind, combines domestic experience with lessons from ongoing sustainability collaborations with other Asian cities. The initiative combines both domestic experience and Y-PORT Center’s on-going collaborations with other Asian cities. The Y-PORT Center will share its own experience in successful sustainable development, environmental protection and resource management of the past decades. It will also establish a closer collaborative relationship with Da Nang, based on its experience of joint activity with Bangkok city, Thailand, and Cebu city, the Philippines. Yokohama and Da Nang have collaborated toward sustainable urban development since 2013. The two cities’ collaboration took form as Joint Crediting Mechanism (JCM) projects as well as the second Forum on Sustainable and Integrated Urban Development of Da Nang. Through the TAP, the Y-PORT Center will upscale Da Nang’s environmental goals, and drive the city’s sustainable development even further. – A strong decrease of waste into the landfill site due to the creation of better recycling practices through knowledge sharing including the measurement, policies and ordinances adopted in the City of Yokohama. The project is ambitious as it will operate a significant upscaling of existing plans in the host city by providing the capacity building necessary to implement its goals and to take concrete measures in the fields of transportation, water treatment and waste management. By doing so, the project will foster renewable energy generation and GHG emission reduction, and thus, contribute to the City of Yokohama’s international collaboration efforts to fight climate change.